Nintendo did reveal new Nintendo 3DS hardware today. 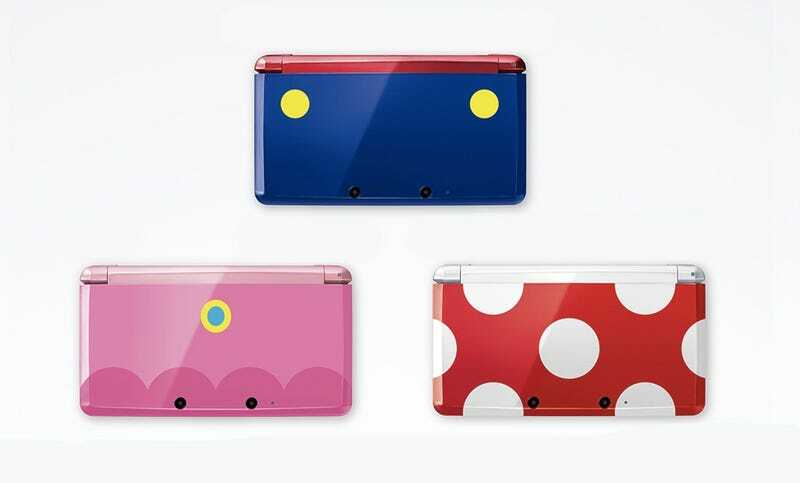 But Nintendo isn's selling these 3DS consoles. No, Nintendo is giving them away. Club Nintendo winners have an opportunity to win special Nintendo 3DS units that feture Princess Peach, Mario, and Toad motifs. There are only three thousand of these 3DS units—one thousand of each. And the units are only available to Japan's Club Nintendo members to win. Club Nintendo members can enter two Club Nintendo codes that come packaged with games to get a chance at winning one of the consoles. The offer ends Jan. 15. Simply by entering, you get a free Kid Icarus download via the e-Shop. Nintendo should really sell these designs. They're fantastic.